IPMA Special Interest Groups (SIGs) are an engaging way to get involved in IPMA internationally. Work with your peers across many different countries and time zones to solve some of the most important questions facing projects success today. The AI SIG is involved with projects that look at machine learning, AI, robotics and more. 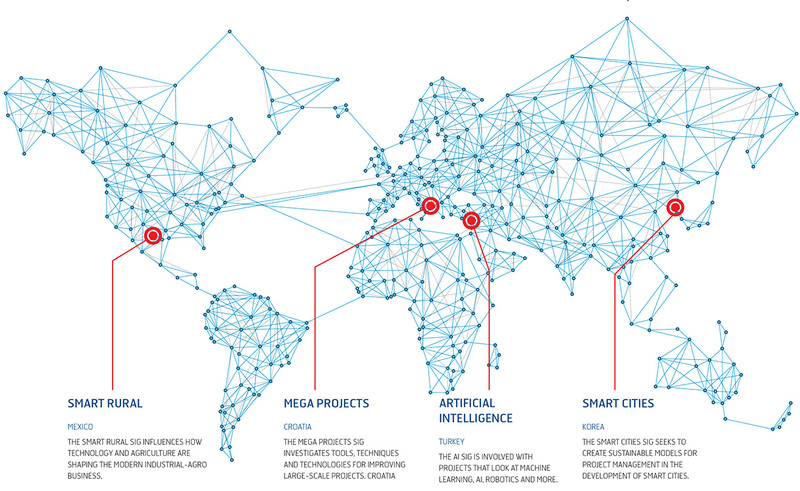 The Mega Projects SIG investigates tools, techniques and technologies for improving large-scale construction projects. The Smart Cities SIG seeks to create sustainable models for project management in the development of smart cities. The Smart Rural SIG influences how technology and agriculture are shaping the modern industrial-agro business.